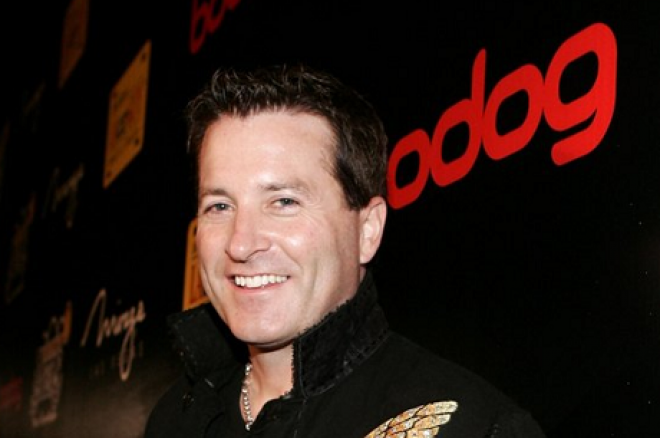 Editor's Note: All charges against Calvin Ayre and Bodog were dropped in July of 2017 after a settlement was reached. Calvin Ayre may be unable to outrun U.S. prosecution much longer. In a news article from Postmedia News last week, it was revealed that American federal prosecutors are taking action to extradite Ayre. It was back in July 2012 that a grand jury in Maryland indicted Ayre along with three other business partners — all Canadian — with operating an illegal gambling business and money laundering. The prosecutors and defence lawyers had come close to a deal that would resolve the case this past July, but it wasn't finalized. They are still trying to come to an agreement, but Assistant U.S. Attorney Richard Kay says, "In the meantime, I am pursuing extradition." It is believed that Ayre and his associates are in Canada and Antigua. Ayre, who was once on the cover of Forbes and is a reputed billionaire, has his roots in Saskatchewan. Born in Lloydminster, Ayre created the notorious Bodog brand that has always had a questionable reputation in the online poker industry. Besides the online gaming site, Bodog is an entertainment brand that also includes a record label, the Bodog Fight MMA league, the Bodog.com Poker and Sports Marketing Conference that is held annually in Las Vegas, and even Bodog Coffee (Illy Coffee rebranded for sale in the Philippines). When the Unlawful Internet Gambling Enforcement Act was passed in the U.S. in 2006, Ayre sold the Bodog.com internet gambling business, but still held ownership of the overall Bodog brand. However, Ayre has not stayed out of the online gambling business, using BodogBrand.com to license other companies and operating the Bodog Poker Network as well as working with companies in regional markets. Bodog has used sponsorship in sports for much of its marketing, mostly with U.K. football clubs. But Bodog also has made deals with the Canadian Football League (CFL) and the Edmonton Oilers of the National Hockey League. Former B.C. Lottery Commission CEO Michael Graydon was not happy to see Bodog endorsement in Canadian football games. The 2012 indictment named Ayre along with three associates — David Ferguson, Derrick Maloney, and James Philip — who were accused of paying winnings to gamblers in the U.S. by moving $100 million from accounts in Canada, England, Malta, Switzerland, and elsewhere. Postmedia News quotes Ayre as having previously stated that the charges are an "Abuse of the U.S. criminal justice system," and they "will not stop my many business interests globally." However, if the extradition succeeds in getting Ayre on American soil to face his charges, it seems he will be stopped. All of this comes at a time when there have been many questions about the legality of offshore gambling sites operating in Canada. The 2006 Unlawful Internet Gambling Enforcement Act in the U.S. shut down Bodog.com, but Bodog.ca and Bodog.net continue to operate, demonstrating the apathy of Canadian regulators. Ayre does not currently face any Canadian charges. With PokerStars and Full Tilt Poker now under Canadian ownership by Amaya Gaming, and provincial governments making progress in providing licensed and regulated online gambling products for Canadians, there is a great amount of uncertainty as to what the future of online gambling in Canada looks like. 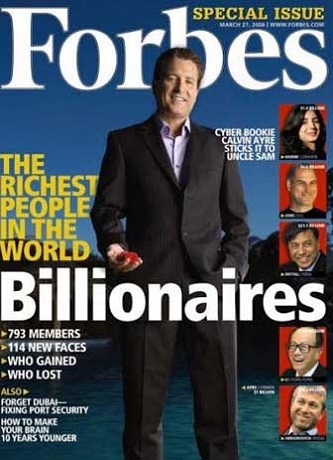 Calvin Ayre on the cover of Forbes' special Billionaires edition. Some estimates claim that Canadians are spending $4 billion a year on offshore gambling sites. Other estimates place it as high as $14 billion. There are many different opinions about how Canadian regulators should respond to that fact. The Interactive Gaming Council is a big proponent for the regulation of online gambling. They believe that provincial lottery corporations can't assume they will take over large segments of the market currently held by offshore operators as they develop their licensed and regulated gambling sites. Instead, they should license and tax the existing operators, acknowledging their strength in the market. One proposed amendment to the Criminal Code in Canada, Bill C-290, would permit single-event sports wagering in Canada. Currently, sport bets require bettors to pick a parlay. This is believed to be a large part of why Canadians choose to do their sports betting on offshore sites with more fair offers. Bill C-290 was passed unanimously in the House of Commons in March, 2012, but has been stalled in the Senate since then due to opposition. Some have commented on the possibility that this could be the first time in Canadian history that a bill passed unanimously in the House but is brought down by the Senate.